Racecraft Infinity introduced a different type of format in nitro racing, having 4 drivers in a team with 2 cars support each other as mechanic or drivers as they deem fit. 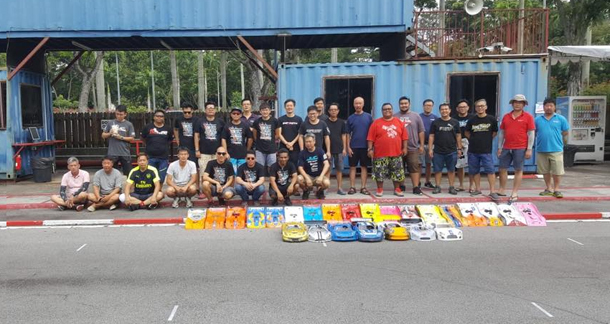 A total of 7 teams in 1/8 On-Road and 5 teams in 1/8 GT signed up for one of the biggest entries for local nitro racing in a while. The race requires two 4-mins qualifying rounds, a 25-mins final and another 35-mins finals. Points from both qualifying to be counted for the grid and points from both finals decides the overall standings. Team RacerX comprises of P.Y.Tang, Aidi, Sham and Daniel Miswan running the ARC R8.1 2018s led the pace in qualifying rounds. 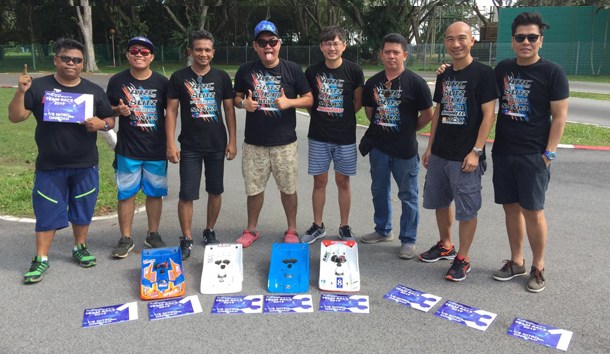 Another team running the ARC R8.1 2018s is Team SP Racing comprises of Nelson Lee, Rosli, Kasni and Jazzy. Car no.9 of Team RacerX driven by P.Y.Tang won the first 25-mins final ahead of teammate Daniel Miswan. In the second 35-mins final, car no.9 again led the race, however Daniel in car no.10 overtook the lead when P.Y. made a mistake ending up in the grass. Daniel remained in the lead and won the final. P.Y. was able to maintained in 2nd until he retired from a crash with a flamed-out car on the straight dropping him to 6th. With combined results to count, Team RacerX finished 1st and 3rd on podium from car no.10 and no.9.